TECTRA 6120 - powerful performance in a new design. 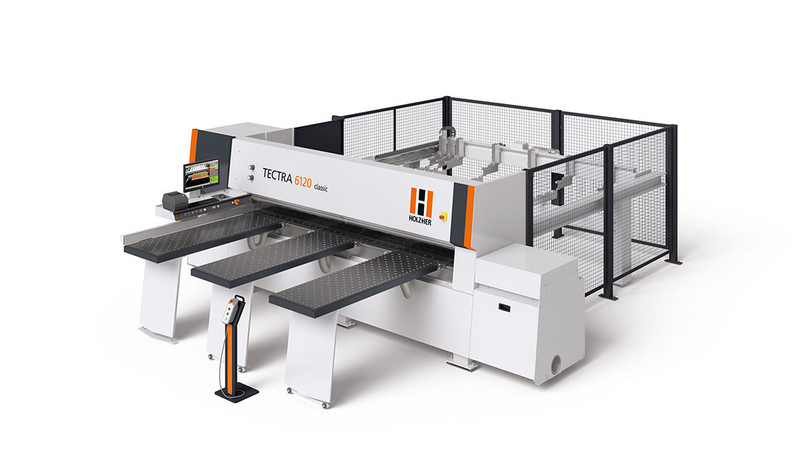 With the new appearance in "Black", the TECTRA 6120 pressure beam saw fits perfectly into the design of HOLZ-HER machines. The integrated linear guide concept is the unbeatable highlight. For example, the sawing carriage moves completely on linear guides inside the machine. This provides absolute production reliability, speed and performance. The new TECTRA series is also way ahead of the game when it comes to safety. The DGUV* certification means it meets the highest safety standards – your guarantee of a safe workplace.